Then take a large baking sheet and lightly spray it with olive oil cooking spray. In a large bowl, mix together the almond meal and parsley. Then slowly stir in the yogurt, water, lime juice, red pepper, salt, and crab meat. Feel free to throw in a few dashes of hot sauce to taste. Combine well, then mix the egg whites with a fork and add them to the mixture. With clean hands form 16 crab cakes and arrange them 1 inch apart from one another on the baking sheet. 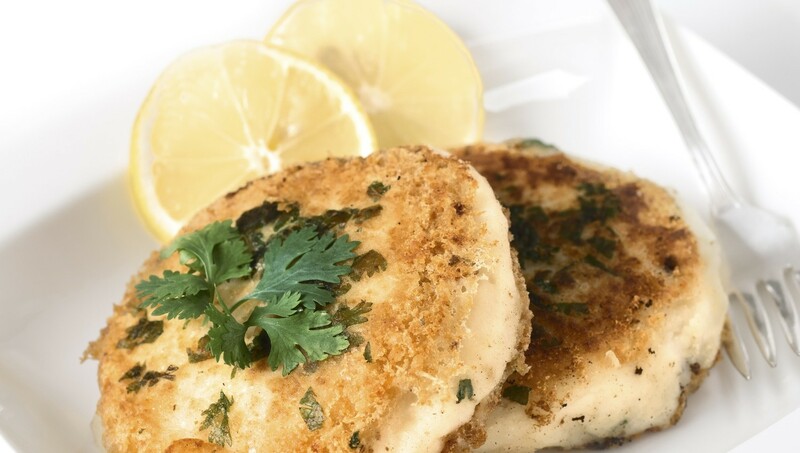 Allow the crab cakes to bake for 10-12 minutes, flipping them halfway through. Once they are browned and cook through, they are complete and ready to serve. Enjoy.